The project, named SPICA (Space Infrared Telescope for Cosmology and Astrophysics), will involve scientists from the University's School of Physics and Astronomy, and will be considered by ESA as a candidate for its next medium-class space mission, with launch envisaged at the end of the next decade. The joint European-Japanese observatory will be developed over the next two years together with two other candidate missions. Cardiff University scientists will join forces with almost 20 intuitions from 15 countries around the world to build one of SPICA's instruments, called SAFARI. Cardiff scientists will provide key optical components to select and control the wavelengths of light transmitted by the instrument, and work with Cambridge University on developing part of SAFARI's superconducting detector system. Professor Matt Griffin, Head of the School of Physics and Astronomy and UK spokesperson for the SAFARI team, said: "Selection by ESA for this study is an important milestone for SPICA. This observatory promises a huge leap in our ability to study the Universe. 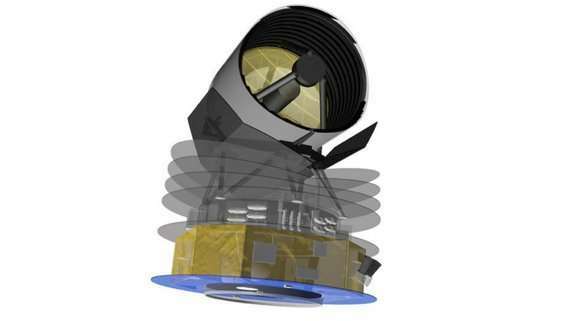 With its super-cool telescope and ultrasensitive detectors it will be hundreds of times more sensitive than previous infrared space telescopes." Professor Peter Ade, who is also based at the School of Physics and Astronomy and leads the Cardiff technical programme said: "Cardiff's unique experience and expertise, developed in working on previous infrared space missions, is essential to make SPICA possible. We expect this intensive two-year study to demonstrate that this great observatory is ready to fly."